Today we are excited to announce the latest addition to our high-performance vehicle collections: Attack Aircraft Maneuvers. 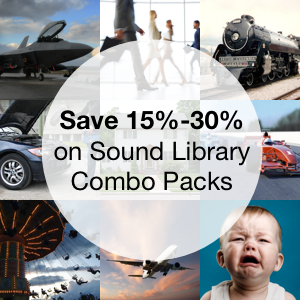 The new sound fx library includes the sounds of 4 military jet fighters performing a wide variety of aerial maneuvers. Today’s post will share why they are different, and how they can help you. 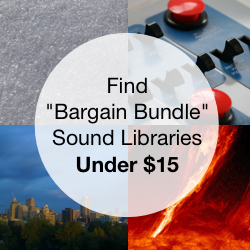 Plus, for the next 48 hours only, the new sound library is 50% off. That will give you 118 strike aircraft sound effects in 1.62 gigabytes for $29.50. Use the coupon code at the end of the article to take advantage of the discount. 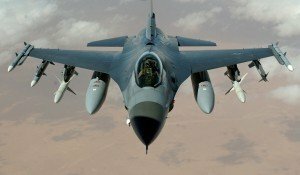 F–16C Fighting Falcon “Viper” – this jet has dominated the skies for almost 40 years with a crispy, cracking sound that lends the impression that the air has been set on fire. 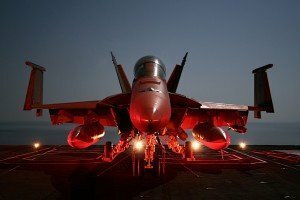 F/A–18C Hornet – famous for its characteristic supersonic whistling passes, the advanced power of the Hornet surrounds listeners with an immersive echo of rippling thunder. CT–114 Tutor “Snowbird” – performed solo and also in squadrons, the small, maneuverable Snowbird sails easily across the sky with a full, breathy sound. CF–18 Hornet – a Canadian variant that adds improvements to the base F/A–18 model, as well as a touch more sonic punch. 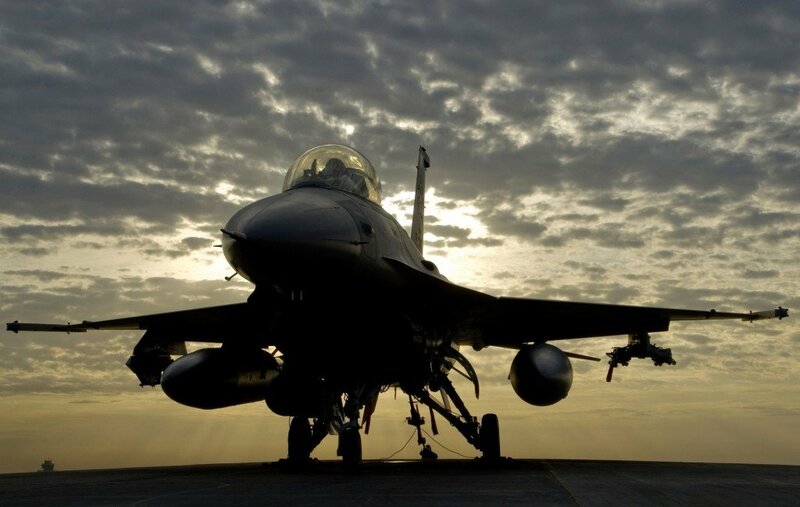 Few sound recordings of these military jets exist, and we are thrilled to share a selection of their sonic signatures. Maneuvers. Aircraft have an unlimited range of movement: left and right, climb and dive, away and approach. So, the sound effects aimed to capture the vast array of maneuvers the jets can achieve: passes by, climbing, diving, barrel rolls, dive bombs, inverted flying, and curling towards and away. Perspective. Jets were captured at close, medium distant, and distant/ambient perspectives. They pass across the microphone, maneuver at its centre, and soar overhead. They range from close, beefy passes by to ambient maneuvering. Speed. The warplanes maneuver at a range of medium slow to blindingly fast supersonic speeds. Each maneuver is diligently labelled to easily craft and recreate ariel maneuvers in your own projects. In addition, every one of the 118 clips is completely clean: there are no birds, voices, or traffic interfering with the jets. Military aircraft are incredibly loud. Don’t be mistaken, though. There is a vast amount of texture in these jets. The Attack Aircraft Maneuvers sound bundle provides clips of powerful warplanes cresting, ripping, and tearing across the sky. Other takes feature graceful soaring as the jets sail above. Want power? Dramatic tracks are included as well. There are clips of the jets whipping by with aggressive screams, and roaring past in thundering, fiery infernos. So, Attack Aircraft Maneuvers gives you a vast selection of textures to choose from. Use the crackling and scraping maneuvers to convey anger and aggression. Choose the airy takes to suggest elegance. The high 96 kHz/24-bit sample rate allows sound designers to warp these textures into new creations without fear of introducing digital artifacts. The fighter jets create an incredibly forceful sound. The ragged, ripping sound is full with thundering bass and crisp and tight crackles. The strike aircraft also convey an amazing sense of space when heard in person as they fly across the canopy of the sky. I wanted to capture this feeling in the field recordings. 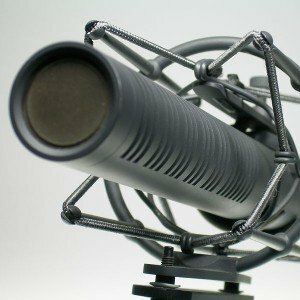 So, I chose the Neumann RSM 191-i microphone to capture them. The 191 is well known for its judicial representation of frequencies. It is also well respected for conveying spacious soundstage. I matched this with a Sony PCM-D100 portable recorder. Many tracks feature tandem recordings from both microphones. The result? The 191 provides accuracy, richness, and an impressive sense of space. 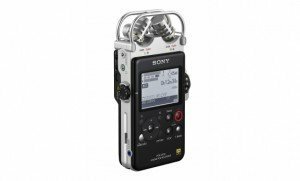 The D100 compliments this with a punchy and thick tone. 96 kHz/24-bit stereo WAV files. 15+ fields of Soundminer metadata. 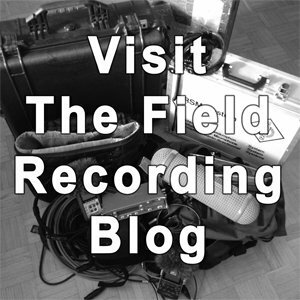 Spec sheet with aircraft and field recording info. $59.00 on sale for $29.50 for the next 2 days. Check out the preview below. Crank the volume, but watch your ears! 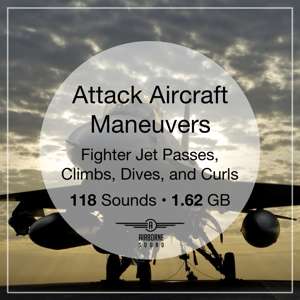 Use coupon code AIRSUPERIORITY for 50% off the Attack Aircraft Maneuvers sound library. The promo code reduces the price to $29.50 from the full $59.00 retail price. This discount code is good for the next 48 hours only, and will expire on Thursday morning (EST). Learn how to use a discount code. Thank you for reading about the new sound library. Please email me if you have any questions. 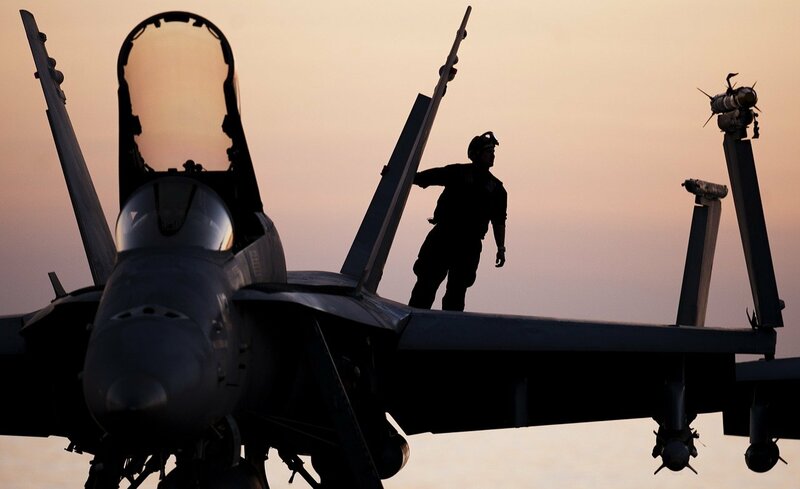 Visit the Attack Aircraft Maneuvers sound fx shop page.